The businessman has branded the Labour leader an “idiot” and a “Trotskyite”, and said it is the electorate’s responsibility to stop Mr Corbyn becoming prime minister. Lord Sugar, who quit the Labour Party in 2015, has previously announced that he would leave the country if the Opposition leader gained power. Calling him a supporter of Leon Trotsky – the Russian revolutionary who espoused permanent global revolution – Lord Sugar warned that success for Mr Corbyn would have communist consequences. Speaking to Radio Times magazine, the peer said: “The only thing we have to make sure is that that idiot – what’s his name? Corbyn – doesn’t get into power. That’s all. The Trotskyite. Lord Sugar, a long-time donor and supporter, left the Labour Party the same year Mr Corbyn assumed leadership. He has previously said the Opposition leader sweeping to power in the UK would be like “watching the mother-in-law drive the Ferrari over the cliff”. 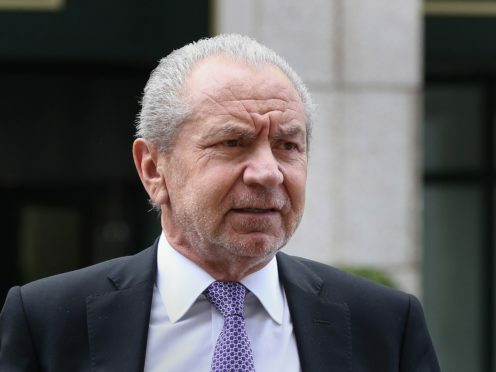 Lord Sugar has said Brexit is disastrous, but he hopes that now that the decision to leave has been made, Theresa May’s deal will be accepted. The businessman, whose fortune is valued at around £1.4 billion, has said it may take more than a decade for a true assessment of the impact of Brexit on the UK. He said: “It’s a total disaster, I’m afraid to say. I hope that the sensible people accept the deal that’s on the table that the Prime Minister has got, because there’s no alternative, I think, at the moment. “The big error was made when people voted to leave. We can’t turn that around. So I’ve given up worrying about it. The full interview can be read in Radio Times magazine, out now.